Lately I've been lazy! I'll admit it! Homeschooling all day with a three year old and a nine month old tagging along can be crazy, and by the time my husband comes home from work, the last thing I want to do is spend about an hour in the kitchen prepping and cooking, and about an hour cleaning it up after we've all eaten. I've seen a lot of different tips and tricks on pinterest for Freezer Meals and how to stockpile your freezer, and I thought..well, why the hell not! 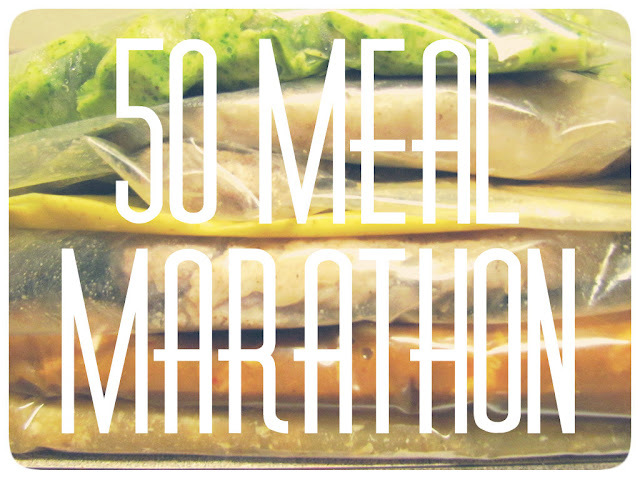 While I was on my search for easy freezer meals I stumbled across this blog where a lady cooked 50 meals all in one day, all freezer friendly, and all of them sounded pretty delicious. I thought this would be a fun challenge for me and it would be the perfect thing to document and let you all in on! You can find the original post here. *I changed a few things around based on my families favorite recipes and what we like. The thought of doing this is actually a lot more horrible than it is once you get in there and do it. 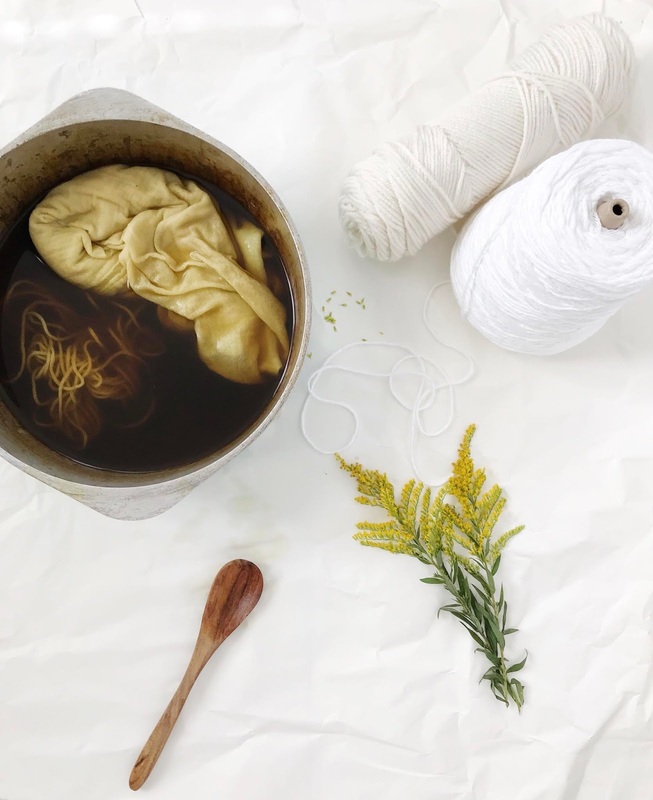 Time passed rather quickly for me and I grouped cooking my meals with similar ingredients so I could do multiple things at once. I cleaned up as I went along and tried to put things back once I was done with them to avoid clutter! It was also a huge help that my husband played with the kids all day so I was free to cook away! Here are a few of my freezer meals that are prepared and cooling, getting ready for the freezer. We had the Sweet and Sour Chicken last night for dinner and when we re-heated it in the oven it was fantastic! I highly recommend doing this if you can get the time. If you try it, let me know how it worked for you! 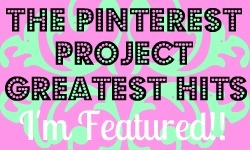 If you want to find more Pinterest inspired projects check out The Pinterest Project! Last week my DIY Nail Polish Tutorial was one of the most clicked projects! LOL, LOL I am looking at the same orange chicken recipe you posted!! I kid you not! haha That's what i'm cooking tomorrow! So funny! Anyway, this is awesome! I hate that I have such picky eaters!! Omg it is so good, I sampled it...a lot! Haha you're going to love it! I definitely need to start utilizing my freezer! It's full of bread dough, pizza dough, leftovers, and frozen fruit. Ahh! I didn't know that. I'm going to have to change that because those captchas drive me nuts.